“If the agency is successful in preventing poor performance and addressing it when it does occur, removals would become unnecessary. In that way, a small number of performance-based removals could actually be a positive sign,” MSPB said. “Of course, [a low firing rate] could also be indicative of an agency that fails to remove those in need of removal,” it added. Based on my work with more than a dozen federal agencies and having worked for the federal government for 32 years, I have to disagree with the basic premise of the report. More importantly, most federal employees also disagree since as shown in the most recent Federal Employee Viewpoint Survey, only 34 percent agreed that steps are taken to deal with employees who cannot or will not improve their performance. Moreover, even though MSPB argues in their report that we should disregard the government’s removal rates relative to the private sector’s, the difference is so striking it is clear there is a problem. I have seen the same frustration in virtually every agency I have worked for and consulted with—managers do not feel it is worth the time and energy to fire a poor performer because: 1) it is too hard and painful to do, 2) it takes too long to accomplish and pulls managers away from day-to-day responsibilities, 3) it is difficult to get sound human resources advice, and 4) even if you try and go through the process, in many cases you will not be supported by the deciding official, HR management or the agency’s legal team. Andy comes into work late on day. It’s no big deal, so the supervisor looks the other way. He then comes in late several more times and his supervisor orally counsels him. Andy then files a grievance, arguing he is being harassed. He then comes in late again and this time his supervisor gives him a written counseling. Andy files a second grievance alleging that the written counseling is in retaliation for his original grievance. He then comes in late again and his supervisor gives him a written admonishment. In response, Andy files an EEO complaint alleging that he is being discriminated against because he is over 40. He again comes in late and his supervisor gives him a reprimand. Of course Andy then files another EEO complaint alleging that management is retaliating against him. So, Andy’s supervisor now has to deal with two grievances and two EEO complaints. She also has to ensure that her mission is still being accomplished. Andy again comes in late and is given a short suspension. So he files a third EEO complaint and also informs management that he is now a union steward. He then comes in late again, receives a suspension of 15 days, appeals to MSPB and files an unfair labor practice charge alleging that action is being taken against him due to his protected union activity. Now Andy’s supervisor has to deal with two grievances, three EEO complaints, one MSPB hearing (for the 15-day suspension) and an investigation by the Federal Labor Authority. Andy also spends a fair amount of his time away from his job on union activity. And his supervisor also has to ensure that her mission is still being accomplished. Naturally, Andy again comes in late again and finally, management proposes his removal. However, Andy then falls while on the job, hurting his back and resulting in continuation of pay for 45 days. When he finally returns to work, he demands to be retrained so he can perform his job until a decision is made on his proposed removal. Finally, the proposal goes to the deciding official, who after looking at all of the issues they will have to deal with, decides to reassign Andy to another section. Meanwhile, everybody has been watching how this situation has played out. The managers conclude that it is not worth going through all the time and trouble of dealing with a problem employee while the employees conclude that the agency is not serious about performance. In essence, everybody loses. Except Andy. The above scenario happens every day in government. It demonstrates the real reason why management does not successfully deal with problem employees—it’s the culture in government. Every time I teach a course on dealing with difficult people in government, I always ask my students what does the government do with poor employees? Invariably, the response is 1) nothing, 2) they move them, or 3) they promote them. The point here is that the vast majority of government employees do not want to work side-by-side with poor employees. They want to work in a quality organization that values performance, which is why they desperately want to see management fire the slackers. 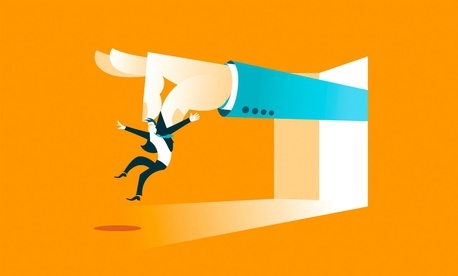 While MSPB is correct that sufficient resources, good training and well-written performance standards are needed to help supervisors effectively deal with poor performers, the most important factor is still the government’s culture, which should not tolerate poor performers. Stewart Liff is an HRM, performance management, visual management and team development expert, and the president and CEO of the consulting company Stewart Liff & Associates, Inc. He is the author or co-author of seven books, including Managing Government Employees, A Team of Leaders and Seeing is Believing. He can be reached at stew@stewartliff.com.